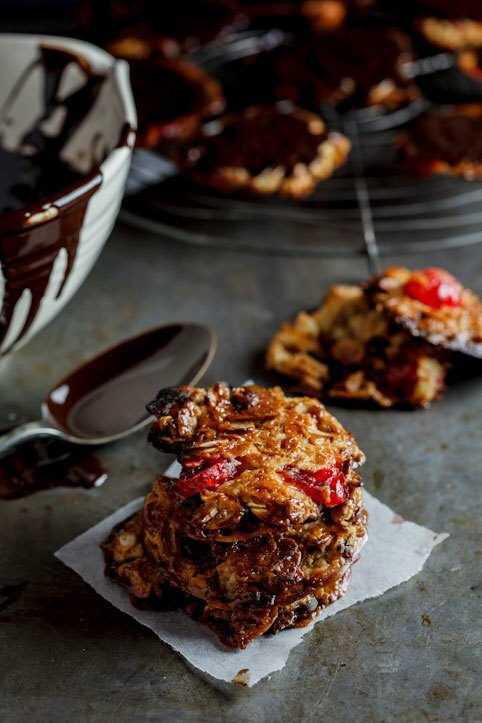 For Alida, Florentines are Mom memories. She has not made them since her mother died some years ago. Fortunately she made up this batch recently, with love and happy memories as ingredients, they taste so good. Optional: Melt the chocolate and spread onto the back of each Florentine. Allow to set then store in the fridge until ready to eat.